FOR ONE of its 2018 year-ender publications, the New York Times asked a panel of experts and thinkers the question: Have we [as a society] left something important behind? The assumption was that 2018 was fraught with anxiety, controversy and disruptions that something vital to American society must have been lost amid the frenzy. Something similar could be done here. But instead of looking for what has been left behind, perhaps it’s better to list what we shouldn’t lose sight of as 2019 comes along. First is that while ours is among the region’s oldest democracies, there are still many areas where it can be improved upon. Our democracy is a flawed one, at least according to the 2018 Democracy Index of the Economist Intelligence Unit where we ranked 51st out of 167 countries. Meanwhile, Freedom House continues to categorize us as “partly free” in its Freedom in the World report. While we can reasonably expect the upcoming elections to be more energetic and vibrant than ever, these rankings only highlight that there’s more to a flourishing democracy than an entire people regularly exercising their right to suffrage. Another is the continuous erosion of the rule of law throughout the country. In February 2018, the World Justice Project noted that we exhibited the biggest drop between its 2016 and 2018 Rule of Law Index reports—falling 18 positions to land at 88th out of 133 countries. This isn’t to say that no steps are being taken—only that more decisive ones are needed to solve this perennial problem of impunity. The third is our economy. Ours does remain among the fastest-growing in the region and appears to have weathered the turbulence posed by high inflation and geopolitical tensions. 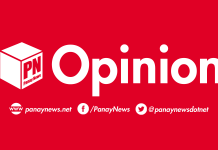 But some analysts, such as those from Deutsche Bank, have recently expressed concerns that the Philippine economy could be on the verge of overheating — where production is not able to keep up with the demand, which in turn leads to a sharp spike in prices. A fourth issue concerns the health and nutrition of our people. Significant reforms such as the Universal Healthcare (UHC) Law, the First 1,000 Days Act and the National Integrated Cancer Control Act may soon be enacted or implemented. But our people’s lives will continue to be jeopardized if we do not curb malnutrition and solve food insecurity throughout the country. Recall how in the latter part of 2018, many were concerned about the importation of galunggong — a vital source of protein in the Filipino diet. According to Undersecretary Eduardo Gongona from the Bureau of Fisheries and Aquatic Resources (BFAR), local galunggong production has been in the decline in the last five years, with the 125,000 metric tons (MT) of fish locally produced failing to meet the 300,000 MT demanded by Filipino households. This is but one of the many issues hounding our food security that desperately needs our attention in the coming year. A fifth issue that shouldn’t drop out of our radars is job creation. Recently, noted survey firm Gallup released its potential net migration index (PNMI) and found that the Philippines’ adult population could drop by 9 percent due to the out-migration of homegrown talent. The pollster further found that up to 16 percent of our highly educated people — those who have completed at least some levels of college — are likely to leave for greener pastures elsewhere. This echoes a 2017 Asian Development Bank (ADB) report which found that of all the 2.79 million tertiary-educated ASEAN nationals who migrated to OECD countries between 2010 and 2011, 1.55 million — or 55.3 percent — were Filipinos. We sent abroad the biggest number of educated professionals, comprising a significant brain drain. In fact, we sent to OECD countries a little more than three times as many as the 2nd largest exporting ASEAN country — Vietnam, with 539,000. We need to arrest this brain drain immediately. 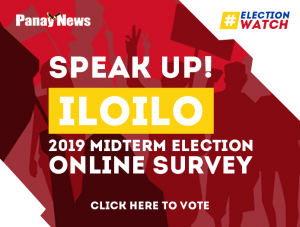 The year 2019 may just be wracked with even more controversy and disruption than 2018—especially with the upcoming elections. But amid the upcoming frenzy, we shouldn’t lose track of the issues listed above.